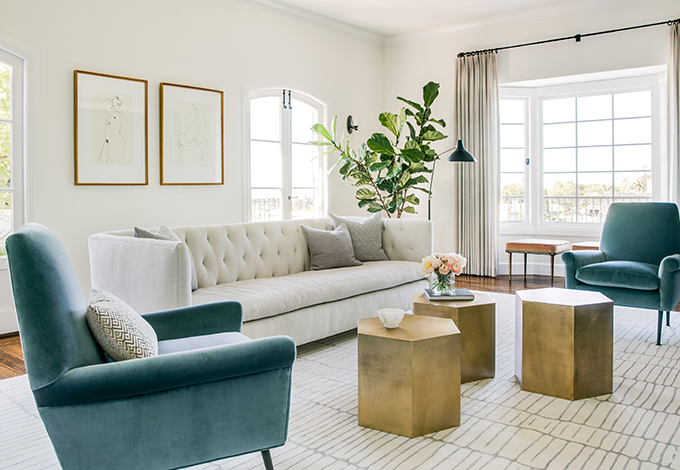 After purchasing a charming 1920’s home on an idyllic property in the Peninsula, our clients called in Niche Interiors and Andrew Mann Architecture to reimagine the space for their growing family. Our sophisticated clients were drawn to traditional details, global influences and saturated color. We incorporated each of these elements in an intentional way, with the goal of creating a home that was distinctive, layered and that felt collected over time. 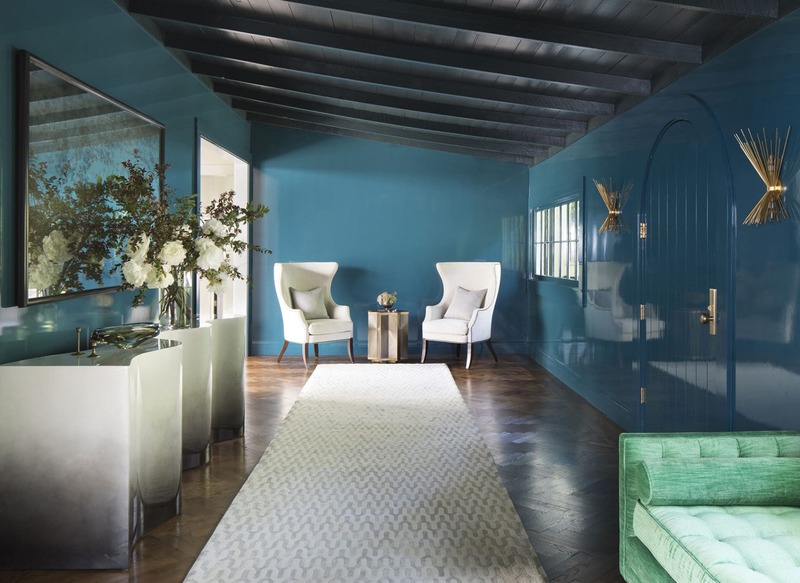 Peacock lacquered walls in the foyer and celestial wallpaper in the powder room create depth and mood. A bespoke bed provides drama in the luxurious master bedroom where textural fabrics mingle with a silk rug to create a cozy retreat. High-backed sofas ground the living room seating area, while a bespoke banquette and sculptural table hosts frequent family game nights. Dramatic gray built-ins provide a beautiful and functional backdrop in the family room, with a reading nook and petite bar. A crisp white kitchen is punctuated with brass accents and vintage dining chairs. Graphic wallpaper and an oversized chandelier make a statement in the vibrant playroom, while modern furniture mixes with traditional toile fabric in one of the kids bedrooms. They really spoiled me. It was my first large-scale project, and working with them was relaxed yet professional. We all worked so well together.